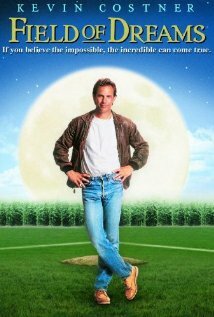 If you’ve been to Binge Media this week, or have seen my previous post here, then you’ve probably read my 25th Anniversary look back at the movie you voted as your favorite baseball movie last year, Field of Dreams. Over the past few days, I’ve also put up a revisit of another baseball classic, Major League, also celebrating its 25th Anniversary this month. If you’ve not seen it, it can be viewed here, http://bingemedia.net/2014/04/24/binge-media-sports-the-revisit-major-league/. As I was putting those two pieces together, I thought it might be fun to let my readers vote once again. I’m sure you’ve noticed that I’ve got a thing for getting the audience involved over there, but this one is a little different. If you haven’t already, head over to Binge Media and cast your vote between two classic baseball movies, Field of Dreams v. Major League, and have your voice be heard. I started the vote on Friday morning and it runs until tomorrow, Monday, April 28th, at noon Central time. The reward for those whose movie comes out on top basically get to write the end of a new piece I’m putting together in a fantasy matchup between the two movies. For the details and to cast your vote, click on the link below. Only a little over 24 hours to go, so make sure to get to it today.